Watch anime online, stream anime episodes online for free.Watch Mobile Suit Gundam 00 season 1 Episode 12 English version online and free episodes. 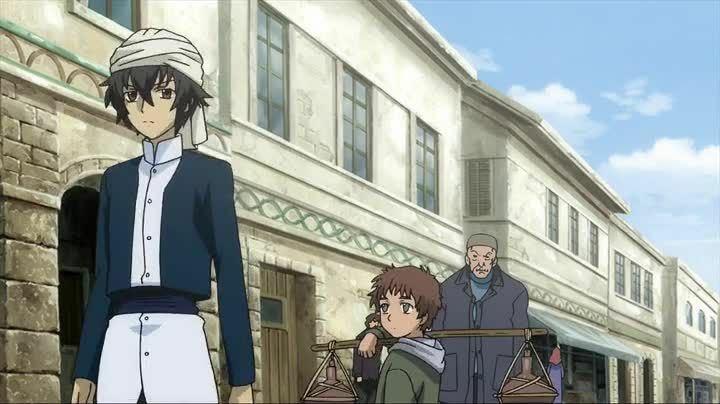 Anime Episode guide, Chapter Mobile Suit Gundam 00 season 1 Episode 12 English dubbed To the Limits of Holy Teachings.An Imam named Massad Rachmadi is kidnapped by an unknown militant group, which leads to riots in the Azadistani populations against the military called in to guard the city. Celestial Being and the Union Army begin to intervene when radical factions in the Azadistani military attack loyalist forces guarding the Solar Antenna to link up with the Orbital Elevator. As Celestial Being and Graham’s forces grudgingly face off against rebel Azadistani mobile suits, Setsuna is forced to re-live the events of his traumatic past.